Choose these favorites for learning fun in the classroom, on the go, or at home. 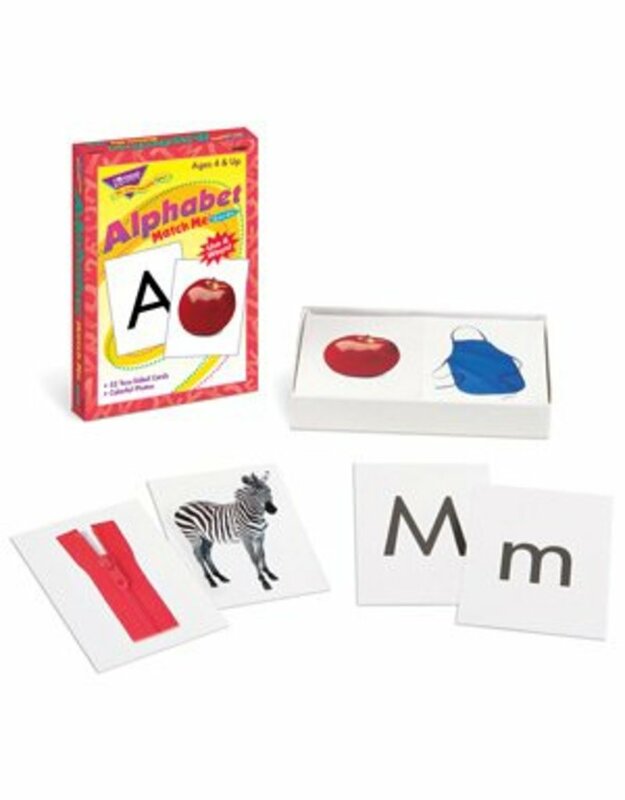 Award-winning Match Me® Cards boost matching, memory, and vocabulary word/picture recognition skills. Learners practice alphabet skills as they match uppercase and lowercase letters to photograph clues. Play 6 ways for hours of fun! Photos for real-life learning. Activities included. Sturdy storage box. 52 two-sided cards, 3" x 4".